Do you know the rear axle ratio? Edit: Actually, won't this be the IRS rather than solid axle? I'm after a solid axle with 3.31 diff. won't this be the IRS rather than solid axle? If it is a mk1 then it will have live axle. Only mk2 has IRS. The 760 facelift has the MK1 irs in saloons only. I would like the rear shocks please or just the lower attachment short bar things. The 760 facelift has the MK1 irs in saloons only. Agreed!! That's not the argument here!! 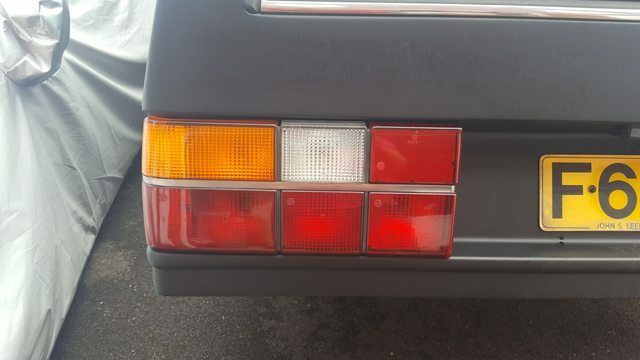 Do the rear light clusters look like this? If so, I need the other side, the drivers side if you have it and it is in good working condition.